Anthony Pangilinan will speak on being the solution in a problem-filled world at the Bo Sanchez‘ Kerygma Conference 2016 – Forward. Class: Standing in the Gap: Being the Solution in a Problem-filled World. Anthony Pangilinan is chairman and chief disturber of Businessworks Inc., a key player in the consulting and training industry today. He is also a chief trainer of Inspire Leadership Consultancy Inc., licensee of John Maxwell leadership programs in the Philippines. Anthony hosts and serves as over-all content and program designer of the change management show Magbago Tayo aired live from 8-10am Saturdays over Radyo Singko and Aksyon TV of TV 5. 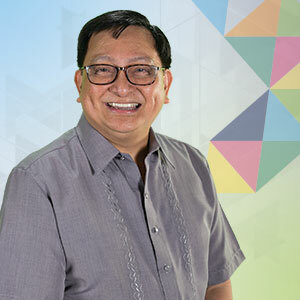 As part of his various advocacies, he is Philippine officer-in-charge of Called to Rescue, an anti-human trafficking organization, and an Angelpreneur of the Go Negosyo movement. Anthony holds an executive master in Business Administration (EMBA) degree in two institutions, INSEAD (In-si-yad) University in France and Tsinghua University in Beijing. Financial Times ranked his EMBA program top 3 in a field of 100 worldwide. This entry was posted in Kerygma Conference and tagged anthony pangilinan, Being the Solution in a Problem-filled World, Bo Sanchez, business works inc, forward, kerygma conference 2016, magbago tayo on October 11, 2016 by Bobet Prudente. Chinkee Tan will speak on ‘Leadership is an Inside Job‘ at Bo Sanchez‘ Kerygma Conference 2016 – Forward. 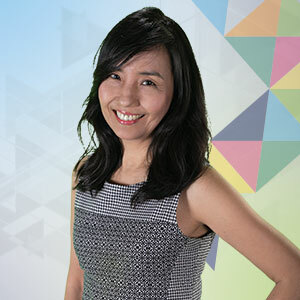 Chinkee Tan became active in the industry of direct-selling from 1992 to 2006 and had over 14 solid years in network building experience locally and internationally. Now a millionaire, he has helped and coached over 50 make to make their first million as well. He said, “I love my job as wealth coach and motivational speaker. 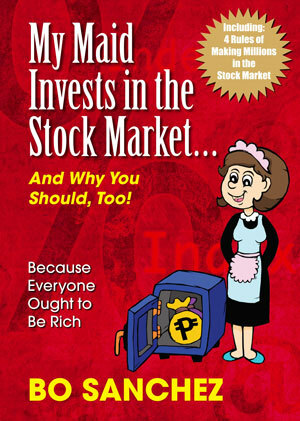 It’s an amazing platform to speak to over 1000 top companies in the Philippines and abroad. I have an average of 240 speaking engagements per year on building self-esteem and giving success tips, effective speaking skills, entrepreneurship and selling skills, leadership qualities, and effective financial management. “I also enjoy speaking and empowering our future leaders in schools and universities as well as coaching some prominent figures and personalities in different industries. This entry was posted in Kerygma Conference and tagged Bo Sanchez, chinkee tan, forward, kerygma conference 2016, leadership is an inside job, smx mall of asia on October 10, 2016 by Bobet Prudente. People always come up to me and ask, “If God is everywhere and we are always at home in His spirit, then how come we still experience anxiety, discouragement and fear? How come we live in a world that’s held back, held stuck by lies, condemnation and discouragement? But most of the time, we commit to all kinds of activities and attach a hinge on things that are man-made and made to fail. It only takes a moment to finally notice what we truly need. To realize that He is the path and the correct direction. Open your eyes and focus on the truth… That Jesus is the only way FORWARD. We present the 2016 Kerygma Conference invitation. Our hope is to give to you what God has intended for you to receive in this inspirational-learning event. As always, the best speakers, motivators, and leaders will speak God’s message into your life. It will be an amazing place to come together and celebrate our destiny with Him. It’s time to think forward, move forward, and pay forward. It’s time to live forward on to that place where God has promised. This entry was posted in Kerygma Conference and tagged Bo Sanchez, forward, kerygma conference 2016, smx mall of asia on October 10, 2016 by Bobet Prudente.